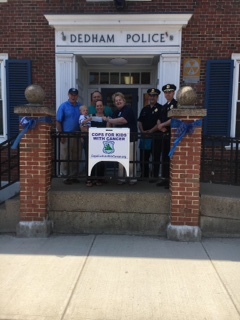 Today CFKWC made a donation to 18 month old, Jojo Bourne and family at the Dedham Police department. Mike Weir and Maura Flynn of CFKWC – presented Jojo , and his parents Candra and Joe. We also would like to Thank , Chief Mike D’Eentremont and Lt. Bob Nedder of Dedham PD.